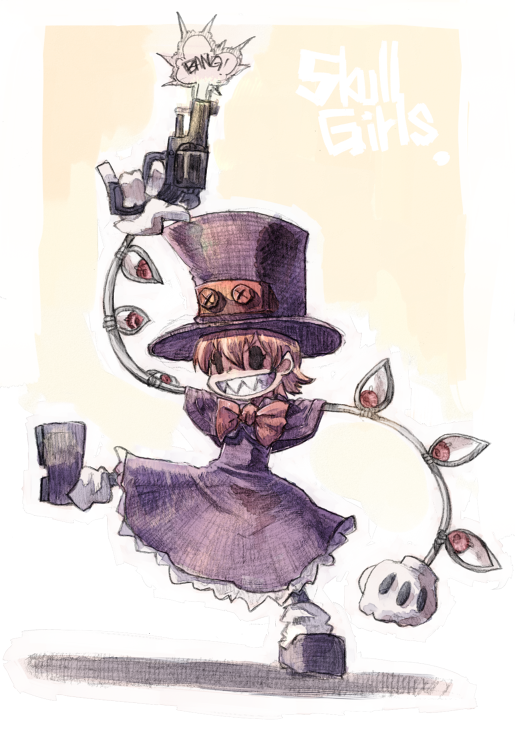 Between the holidays, business travel and finishing up the game, we’ve been a mite too busy for our usual fan content, but this post marks an official Return To Normalcy… if you can call anything Skullgirls-related normal, that is. Good to be back, and remember: you can submit your own fan art to fanart@revergelabs.com! Look, it’s what’s-her… I mean Valentine! Thanks, Joshl! Cerebella and Vice-Versa are comin’ atcha in this great piece by GC3K! What if Ms. Fortune and Cerebella actually got along? Kogerou posits that the results would be adorable. While we’re on the subject of adorable… D’awwwwww! Excellent work, Citololo! Oh mah gosh! So cuuuuteee!! I like the one of Valentine and the one of Peacock, so cool. Also, Yes! Fan Art Friday is back! I take it that this means we can expect the return of Whiteboard Wednesday right? If so then please draw Shantae, Risky, Rotty and Sky from Wayforward’s Shantae series and also the main character (can’t remember her name) of Mighty Switch Force (also made by Wayforward). For some reason when I looked at that Peacock art the first thing I thought of was Max from Sam and Max. Anyway, great art as always. Yay, you guys are back! Ahhh I can’t believe it… my art got rejected! Do you not accept PNG files?? Bear in mind, Terry, that even though Skullgirls isn’t being widely recognized, our fanbase is still many people strong. Factor in the long hiatus of Fanart Fridays prior to this post, and one can imagine how many pictures Reverge Labs must look at. Remain calm. 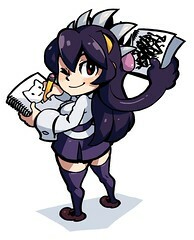 Even if you don’t achieve day-long celebrity status, your avid support and fandom of Skullgirls is what truly counts.